mit diesem Beitrag erweitern wir den Fokus unseres kleinen Blogs. Wir fühlen uns nicht mehr ausschließlich der gedanklichen Verarbeitung der aktuellen Finanz- und Wirtschaftskrise verpflichtet und wenden uns einem philosophischeren Thema zu: dem Umgang mit der Zeit. Zunächst ist es wohl wichtig zu wissen, was wir in und mit unserer Zeit eigentlich wollen, und was wir nicht wollen. Damit stellt sich aber nicht nur die billige Frage der Zeit-Ökonomie im Job – wie kann ich meine Arbeitszeit möglichst effizient für die Erledigung möglichst vieler Aufgaben nützen? – sondern die existenzielle Frage des Umgangs mit der Zeit im eigenen Leben. Wer einen authentischen Lebensentwurf jenseits des Man – dem alltäglichen Erledigen der Aufgaben in Job und Haushalt sowie dem Streben nach Besitz, Genuss, Schönheitskult und Narzissmus – umsetzen will, der sollte mit seiner Zeit ökonomisch umgehen. „Unser wahres Zuhause ist der gegenwärtige Augenblick. Das Selbst ist also nicht als absolute Einheit zu sehen, und alle Lebensentwürfe sollten mit einer achtsamen Gegenwart vereinbar sein. In einer bemerkenswerten Rede spricht Adair Turner aktuelle Probleme des Finanzkapitalismus an, und diskutiert mit großer Klarheit geldpolitische Lösungsansätze. Turner war Chairman der britischen Banken-Regulationsbehörde, der Financial Services Authority. Er bewarb sich 2012 um die Nachfolge von Mervyn King als Governor der Bank of England, es wurde ihm jedoch von der britischen Regierung Mark Carney, der Governor der Bank of Canada, vorgezogen. 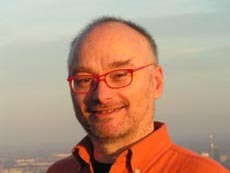 Turner ist nun Senior Fellow am Institute for New Economic Thinking. Der Investor, Philanthrop und INET-Gründer George Soros hält dies für glücklich, denn nun sei er frei, seine Meinung auszudrücken. Unverständlicherweise gibt es zu dieser wichtigen Rede bisher nur eine automatische Transkription auf youtube, die manchmal unrichtig und sinnstörend ist. Für die Leser dieses Blogs – und für mich – folgt hier meine eigene Transkription der Rede. Eine kritische Reflexion der Rede ist einem späteren Blog-Beitrag vorbehalten. Hier die Slides zu Turner’s Rede. Ich empfehle, 3 Browser-Fenster für Video, Transcript und Slides parallel zu verwenden. become more than we thought we could be. the person celebrating the birthday. than from any other individual I have ever met. And I don’t mean by that entirely that he has made me uncomfortable at times. more I think about his example. but now in his philantropic life. concerned about the disintegration of Europe. that there was nothing more he could do. the capacity for pain and evil. in the continuation of that society. in all his endeavours right now. to introduce another member of our mutual admiration society. INET is now entering a new and contructive phase. which is to produce new insights and new theories. also need to be reformed. the European Financial Stability Institute. that we will all benefit from. preoccupied with the unresolved questions of financial stability and financial regulation. in the theory of reflexivity. What more convincing evidence could I possilby ask for? and I don’t have half his qualifications. Thank you George very much. in about the next hour and a half. which I believe are incredible valuable. is a vitally important task. It’s also a great pleasure to be speaking here at this forth plenary. we are a bit older than the Fung Institute. but hopefully you move beyond whatever tantrums you’ve got. therefore in a position to make major contributions. as I have on the three previous occasions. to which I have no solution whatsoever. First I am a bit concerned to be speaking over dinner. on the whole of what was going on at the conference. because I’d really like the opportunity of presenting a sustained argument. I don’t wanna be just the joke man just not … (inaudible) the light entertainment. that I would still be talking over dinner. well – I am sorry. that I’m gonna talk about financial stability and monetary economics. at the FSA in response to the financial crisis. which we’ve discussed during the day. the fundamental nature of what we are as human beings. it is actually basically dealing with the avoidance of negatives. The whole of the 1930s Great Depression was a self-inflicted wound. but yet it has suffered a terrible, terrible depression. it wasn’t driven by an inability to continue the process of innovation. It was a self generated failure within the financial system. It was a totally self inflicted wound. I think is an important though limited agenda. to come up with some new economic thoughts. So I feel somewhat worried why am I going back to old economics texts. established as a key INET activity. about a set of debates which occured seventy years ago. people who supported a very strong clear laissez-faire economics. but who in particular issues to finance were not laissez-faire at all. and I’m talking about Irving Fisher. in their writings in the thirties and forties. but that we should regulate banks out of existence. They didn’t believe that fractional reserve banks should exist. in which the monetary base is the money supply. So that was radical idea number one. to finance one hundred percecnt of fiscal deficits with newly-created money. That is precisely what Milton Friedman argued in nineteen forty eight. and one hundred percent money financing of public deficits. even if we don’t go all the way in that radical direction. and perhaps to understand that they are right up to a degree. Four failures either of economics or of policy. we largely created macroeconomic models from which the details of the financial system and the banking system were almost entirely absent. so yet more market completion is even better. everything that the free market does must be beneficial and must be taken as close to a sort of nirvana … (inaudible) Pareto equilibrium. but a failure of much policy making. a relentless increase in the credit-to-GDP ratio. by the mid twentieth century economists to which I have referred. three potential drivers of financial instability which I want to run very quickly through (slide 3). debt contracts create specific risks. the more we have potential for instability. and unless tightly regulated will run out of control. lending secured against real estate or against any asset which can rise in value as you extend more credit is deeply pro-cyclical. and overtly stated that we could ignore in the pre-crisis period. the arguments in favour of those three propositions. First of all debt contracts in general. from equity contracts (slide 4). the tendency for myopia or what Andrei Shleifer has called local thinking. When you hold an equity contract you see the value of that going up and down every day. You know that you hold something which has risk in it. and then a tail of the probability where you lose. But in the good times that tail is not observed. to extend those in excessive quantities. ‚owed their very existence to neglected risk‘. operating risks of the economy. And that creates the possibility of multiple equilibrium. when debt goes wrong it goes wrong in a non-smooth crunchy fashion. and the system can absorb that. and default is a denial of a complete market system. bankruptcy would never be observed. we see those non-smooth adjustment processes. the economy needs them to be continually rolled over. a sudden shock to the real economy. There is a real distinction here between equity and debt. but which Fisher, Simons, and Friedman really focused on. and they intermediate it to to investment. This is a lousy description of what banks do. Banks simultaneously create new private credit and new money. They do that because they have a maturity transformation function and the fact that they do it is a fundamental macroeconomic variable of vital importance to the dynamics of nominal demand growth. – and increased lender supply of credit. as all those elements go into reverse. but variables which we largely ignored in the pre-crisis period. what a large effect they must be having on the degree of financial instability. which is the scale of the financial sector lending money to itself. but over a sixty year period. with massively large financial and in particular banking sectors. is that process of simultaneous bank credit and money creation. the somewhat matching increase in deposits. to run current account deficits and borrow wholesale money from overseas. is major changes in where credit was going. is the increase in commercial real estate lending. which is capable of entering an asset and credit cycle such as Minsky described. of bank credit and quasi money creation. and the financial risks within our economy. to the growth of credit as a percentage of GDP. and I think a lot of good economic research is now going to challenge that. has at very least not provided any beneficial impact on growth. and in directing changes in the quantity of money and money substitutes. is just the flip side of the credit side of the bank balance sheet. that you can create too much credit and too much private money. Why did Simons and Fisher in particular writing in the thirtees believe that? ending up with a very radical position. fractional reserve banks at all. there would be no inside money created privately by the financial system. Now, I think they were too radical. I think there is an argument for fractional reserve banks up to a point (slide 14). which might otherwise not occur. even if it has no positive effects on growth. I think it is too radical. the fraction of liquid reserves and the fraction of capital resources. of that credit and money creation. but more twenty-five or thirty percent or something like that. I think we are the inheritors. the banking system to run with far too low fractions of capital and liquid assets. for instance through loan-to-value ratio or loan-to-income ratio limits. among the thirty thousand real estate agents here in Hongkong. the first great insights of those early laissze faire writers. and that I think was the other thing that we missed in the pre-crisis period. one implication is that we mustn’t let leverage get to excess levels. The best thing is not to allow leverage to get to an excess levels in the first place. and you got to have macroeconomic policies to deal with that position. where lending to UK businesses is well ahead of nominal rates. with very low credit growth. but it is also because the credit demand simply isn’t there. as a balance sheet recession. but you see credit growth essentially negative or zero as well. and they are imposing a deflationary deleveraging effect on the economy. because without that you have a deficiency of nominal demand. is the stock effect (slide 19). to over two hundred percent today. to the public sector of the economy. there is two or three percentage points increase in the fiscal deficit, in the fiscal debt-to-GDP. and it is the post crisis pattern in the UK, the US, and Spain. But you have a shift of that leverage over to the public sector of the economy. as indeed in the nineteen thirtees. And you therefore have a major issue for macro policy. as low but positive inflation rates. of Simons, Fisher, and Friedman in forty-eight. Because what they said was ‚Fund fiscal deficits with money finance‘. which I suggest is important to think straight on this issue. and therefore also that is true in total and it’s also true at the marginal level. or you might increase real output. So those are the effects. On the lever side, there are a set of policies which might influence nominal GDP. Those include fiscal policy, deficits and surpluses, monetary policy, interest rates, QE, forward guidance, central bank private credit support, such as US credit easing or the UK’s finance funding for lending scheme, and also macroprudential policy, the level which the regulators set in terms of the capital or the liquidity requirements of banks. which stands for Overt Permanent Money Finance. Overt Permanent Money Finance, sometimes later qualified Overt Money Finance (OMF) – but it has to be permanent to be effective – is essentially a combination of the fiscal and monetary levers. It’s running a fiscal deficit which you finance with central bank money. So that’s my framework – effects and levers. And I would like to make two points about that framework. or the flexibility of price setting processes in labour or product markets. a large amount of that aggregate nominal demand will go into real output. a large amount might go into prices. the tools that you pulled to affect aggregate nominal demand. Now the reason that is important is that a lot of debates about what we do in the present deflationary period are bedeviled by random non-independence assumptions which are not well specified. because that will get the economy going. and than another is necessarily gonna have a real output effect. it’s those real factors on the right hand side. That’s my first assertion about this framework. is inadequate aggregate nominal demand. we should really be condemned for having failed to be imaginetively enough. But not at all that imaginatively because it simply requires doing what Milton Friedman and John Maynard Keynes both said we should do. who demanded that you work for your efforts – he was a believer in the good life – but essentially the same proposition. At the limit we can always increase aggregate nominal demand. but I also recognize that you can challenge that independence hypothesis. something on the left to something on the right. that in itself might become self-fulfilling. and less of an output effect. in which case you might say you can do something which would skew the results to real output. without specifying why you are breaking away from indpendence. Let me as quickly as possible now talk about the different ways that we could stimulate aggregate nominal demand. and broadly speaking this is the policy being pursued in the UK and the US at the moment. some degree of forbearance in terms of the pace of which we would otherwise increase capital and liquidity standards to acceptable levels. fiscal austerity supposedly offset by this combination of monetary and macroprudential levers. I would have also argued for the level of QE which we have in the UK. both to diminishing marginal effectiveness and to adverse side effects. Why might they be subject to potential limitations (slide 28)? Well – it’s crucially important to realize that these levers work through indirect channels. They essentially stimulate credit growth or seek to. They seek to stimulate asset price increases and a search for yield. And it is possible those are limited. but you may still not get a credit amount response. Long as well as short term interest rates may approach the ZLB (zero lower bound). As for adverse side effects, this policy commits us to low interest rates over many years, or in Japan – decades. and that’s a slightly odd thing to do. or the hair of the dog that bit you. and then there are also distributional effects. These policies tend to be very good for asset owners at the top end of the income distribution, and less good for other people. and to adverse side effects. So the alternative – the classic alternative – is funded fiscal stimulus (slide 29). You run a budget deficit and if it isn’t sufficient you run a larger budget deficit. you are putting money directly into someones pocket. As Milton Friedman said in his 1948 article „you’re doing something which directly goes into the income stream“. You are not working through this complicated portfolio asset balance effects. You are directly impacting the income stream. because you are borrowing more money to fund this fiscal deficits. by servicing the debt which has been called up. indeed under plausible assumptions it could actually improve long-term debt sustainability. and a hundred percent even when you take out the holdings of the commercial banks. that funded fiscal stimulus can produce the relentless rise in government debt? Japanese government debt is not going to be repaid in the normal sense of the word repaid. forget it, it is not going to occur. is going to be offset by a high level of inflation which essentially means that people will abort this debt at a negative real interest rate. It will not be repaid in the normal sense of word. So what do you to if you’re in that situation? that you do a money financed tax cut. That’s what Ben Bernanke argued in two thousand and three. He argued that you just do it in special circumstances. Interestingly (slide 33), Henry Simons and Milton Friedman argued you should do it as a perfectly normal procedure in all times. Money is simply a non-interest bearing government security. The chief function of the monetary authority would be the creation of money to meet government deficits, and the retirement of money when the government has a surplus. And Henry Simons argued exactly the same. because they’ve created an environment in which the monetary base is the monetary supply. and it’s advantage versus funded fiscal stimulus is that it clearly is not subject either to crowding out or to Ricardian equivalence effects. Isn’t money finance of public deficits inflationary (slide 35)? by which we might stimulate aggregate nominal demand. and if you do, we should then look to all the levers available. So why are we so terrified of money finance of fiscal deficits? Well there is a very, very good reason. it’s impact on inflation will depend upon the amount that you do. It’s simply a spectrum like most things in economics. because you’ve broken a taboo. may establish a climate favourable to irresponsibel government action and to inflation. it’s a political economy problem. and in an appropriate amount. a close to taboo status. taboos have valuable roles within human society. and to use it in responsible amounts. as a sort of policy that dare not speak it‘ name. that is overt money finance. because we have a taboo against it. by the interventions of Mr. Kuroda. One, for Japan Bernanke was right. in the normal sense of the deficit turning into a surplus. They need to be montized. Japan would have been in a better state today. but Bernanke was certaily right in two thousand three. you could argue that the policy mix is damn close to overt money finance. if we’re roughly doing the right stuff in any case. optimal policy is blocked by incomplete currency union. so a whole load of distributional and discipline issues get in the way of optimal policy. is that eighty percent of all our increase in nominal GDP has gone into a price effect rather than a real output effect. of simply believing we need more nominal demand. but to draw this lessons from those earlier writers. in a way which we dangerously ignored before the crisis. these are crucial macroeconomic variables. and to contain the level of leverage. about the policy levers available to pull you out of that situation. and I now look forward to hearing the various ways in which Bill white and Hiroshi Watanabe are going to disagree with me. Roboter statt Arbeitnehmer (4): Gedankenexperimente zur Prüfung ökonomischer Theorien? Dies ist der vierte Beitrag unserer kleinen Roboter-Serie. Anbei – zur Bequemlichkeit unser LeserInnnen – die Links zu den bisher erschienenen Beiträgen. Die Neuauflage der Roboter-Diskussion enthält einige Gedankenexperimente und Zukunfts-Szenarien. Wir halten diese für anregend und widmen ihnen daher dieses Posting. Dies ist es, was wir wollen: geeignete Gedankenexperimente rund um das Roboter-Thema finden, die uns helfen, ökonomische Theorien besser zu verstehen und weiterzudenken. „If one machine can cut necessary human labor by half, why make half of the workforce redundant, rather than employing the same number for half the time? Why not take advantage of automation to reduce the average working week from 40 hours to 30, and then to 20, and then to ten, with each diminishing block of labor time counting as a full time job? This would be possible if the gains from automation were not mostly seized by the rich and powerful, but were distributed fairly instead. „At a recent talk at Berkeley, Larry Summers asked us to engage in the following thought experiment. Suppose that a new technology called “the Doer” will be created tomorrow. Doers can do anything flawlessly. They can build a house, give a massage, or make a guitar. What would the world of Doers look like? Cheaper, high quality goods would proliferate. The price of raw materials would increase as raw inputs for doers would become more scarce and thus more valuable. People who can think of new things for Doers to do or of new ways for Doers to do things will make a lot of money. For everyone else, the value of working for an hour will be nearly zero (since Doers can do everything already, no extra value is created). Therefore, hourly wages will go to zero. Die Roboter-Gedankenexperimente renommierter Ökonomen beziehen sich auf eine Ökonomie, in der Roboter (eigentlich: software-gestützte Automatisierung) fast alle oder alle Waren und Dienstleistungen besser und schneller produzieren können als der Mensch. Gefragt wird nach der Zukunft von Arbeit und Arbeitszeit, dem Reallohn, sowie der funktionalen Einkommensverteilung, und nach den gesellschaftlichen Transformationen, die wir in dieser neuen Welt eventuell benötigen. Weitere Fragen sollten sich auf die Herstellungskosten für Roboter, sowie auf den Preis der durch Roboter produzierten Waren und Dienstleistungen beziehen. Was noch weitgehend fehlt, ist der zielgerichtete Einsatz der beschriebenen Gedankenexperimente, um ökonomische Theorien zu untermauern, zu widerlegen, zu veranschaulichen oder weiter zu denken. Wie ließe sich der Übergang zur Roboter-Ökonomie im Sinne der Marx’schen Arbeitswertlehre verstehen? Was läßt sich zum Wert der Waren und der Arbeit aus Sicht des integrativen Produktionsansatzes von Piero Sraffa und seines Hauptwerkes ‚Production of Commodities by Means of Commodities‘ sagen? Und wie passt die Roboter-Ökonomie mit Michal Kalecki’s Preistheorie zusammen, bei der Unternehmen einen Aufschlag (mark-up) auf die Kosten kalkulieren, der stark vom Monopolgrad abhängt? Neugierig wären wir auch darauf, was marginalistische ökonomische Theorien wie etwa Neoklassik und neoklassische Synthese zur Roboter-Ökonomie mit ihrem weitgehenden Verschwinden des Arbeitsmarkts beitragen können. Genügend Stoff für kluge Dissionsbeiträge professioneller Ökonomen, sollte man meinen. Man fragt sich, warum diese interessante und relevante Diskussion nicht schon längst im Lichte der herrschenden und alternativen ökonomischen Theorien vertieft wird. Haben die Theorien oder deren Praktikanten etwa so wenig beizutragen? Srinivas Raghavendra (s.raghav@nuigalway.ie) is with the J E Cairnes School of Business & Economics at the National University of Ireland, Galway. The author would like to thank Amit Bhaduri, Torsten Niechoj, Frank Conaty and Thomas Boylan for their valuable comments without implicating them in any of the remaining errors in the essay. Every crisis in society is also an opportunity for change. This is no less true for economic crises. Major economic crises in the past have overthrown the incumbent orthodoxy in economic thinking and replaced them with an alternative. The Great Depression in the 1930s stands out as the most striking example both as the severest in living memory and for the sharpest change in economic theorising and style of management that it induced. Neoclassical thinking based on the belief that the market mechanism of demand and supply has the inherent capacity to recover automatically from a crisis was replaced by a new vision. The chief architect of the new paradigm, John Maynard Keynes urged his fellow economists to break away from the “habitual modes of thought” for solving one of the worst economic crisis capitalism ever faced. The change in economic thinking had a profound impact on many spheres ranging from teaching economics1 to economic policymaking; indeed, it is aptly called the Keynesian Revolution. The revolution brought about a change in the political nature of the state. While both fiscal and monetary policies were informed by scientific research based on Keynesian economic theory, the politics of feasibility and implementation of those policies was very much at the centre of policy debates at that time. The post-war political climate with systemic competition between capitalism and Soviet socialism also contributed to the winds of change in economic thinking, which in turn provided an economic rationale for the welfare state. The post-war reconstruction aid from the US was instrumental, not by design, in experimenting with the economic policies of the Keynesian revolution in Europe. Not only did Keynesian policies demonstrate, based on the new theory of how even unproductive war expenditure could result in full employment and turn around ailing economies, it also provided the intellectual basis for the politics of social democracy to bring about cooperation between the contending economic classes of labour and capital. Furthermore, with the advent of the welfare state, there followed one of the most prosperous periods in European history, dubbed the “Golden Age of Capitalism” (Epstein and Schor 1990; Bhaduri and Marglin 1990). The uninterrupted growth in western economies created a kind of positive feedback between the politics of the welfare state and Keynesian style economic management. They reinforced one another over time and became institutionalised, and, in Keynes’ own phrase, had evolved into a habitual mode of thought. The state was seen as the driver of the economy and its political nature was not questioned. More importantly, state action was not seen as detrimental to the interest of capitalists as long as Keynesian style class cooperation created an investment climate conducive to private investment driven by profit. However, profit as the engine of growth slowed down with an ensuing profit squeeze in the 1970s and the limit to such cooperation began to emerge. The twin oil shocks (1973 and 1979) created inflationary pressures on already stagnating economies and questions were raised about the suitability of Keynesian policies, which by then had become conventional wisdom. As economists led by Milton Friedman, in particular, began to question the established doctrine of Keynesianism, the foundational behavioural assumption of the money wage bargain on which Keynes’ General Theory was built was challenged. Friedman argued against expansionary fiscal policy on the ground that it could provide more employment only if real wages were lowered to satisfy the profit maximising firms. But this requires money illusion on the part of the workers, which would at best be transitory and ineffective in the long run simply because you cannot fool all the people all the time. 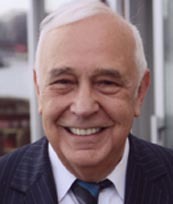 With the argument that fiscal policies of the state-influenced inflationary expectations of the economic agents, Friedman went on to prove that those policies would be ineffective in the long run and the economy could end up having a “natural” level of unemployment so long as it is consistent with the individual labourer’s choice between work and leisure. The argument in effect resurrected the notion of “voluntary unemployment” (i e, unemployment was a matter of individual choice), which is the core of the neoclassical orthodoxy argument that counterposes individual freedom against state intervention. The fiscal policies of the state were seen as distorting the “expectations” of the agents in the economy while it had no real impact on the level of output and employment in the long run. The second phase in the development of Friedman’s theory, often referred to as Monetarism Mark II, or the “New Classical School” led by Robert Lucas, demonstrated the ineffectiveness of monetary policy because workers endowed with rational expectations would not be fooled by money illusion even in the short run. Crucial to the argument is the idea that every agent determines his or her action by adapting and forecasting the future on the basis of the same model so that no space is left for surprise effects of economic policy of the state. Paraphrasing the poet T S Eliot: “[I]ndeed after such awesome rational knowledge (of individual agents), what forgiveness (for the state)”! From the Keynesian revolution to monetarist counter-revolution, macroeconomics underwent a full circle2 comprising both fiscal and monetary policy ineffectiveness. 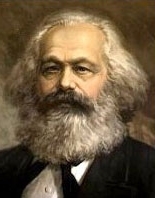 The counter-revolution had a profound impact on the style of economic management. The new classical model claimed that monetary policy is ineffective because economic agents are rational in a sense that they would adjust their supply decisions even when the policy is simply announced by the monetary authority or the state. This allowed them to take the argument further and claim that given its political compulsions, the democratic state may not be in a position to stick to its monetary policy commitments and this would cause inconsistencies in individuals’ expectations about the future conduct of monetary policy. Such inconsistencies would have a negative impact on the sentiment of the investor about the future growth of the economy and thereby affect their supply decisions. Hence, the proponents of the new classical school argued for an “independent” monetary authority, viz, a central bank that would conduct a rule-based monetary policy devoid of political interference from the state. The idea was set in motion of delinking politics of the state from the conduct of the monetary policy by the central bank. The idea of an independent, objective, non-partisan and apolitical central bank targeting exclusively the inflation rate resonated well within the financial community and was initiated in New Zealand. Many developed and developing countries today claim to have an independent central bank. Thus the monetarist counter-revolution, like the Keynesian Revolution, redefined the role of the state in the economic sphere. In the pursuit of its ideal of a minimalist state as a counter to the Keynesian Revolution, it took away from the state, as a first step, its control over monetary policy. However, fiscal policy still remained within the control of the state. The counter-revolution provided a perfect economic rationale for the conservative political ideology that advocated a minimalist state. The economics of the counter-revolution and the politics of conservatism centred on the minimalist state aligned perfectly at the turn of the 1980s. This is hailed as a period that ushered in the “second wave of globalisation”. It was marked by the rise of “high finance” – the financialisation phase of globalisation. With the counter-revolution providing an intellectual justification for “freeing” monetary policy from the politics of the state via an independent central bank, the stage was set for the development of an unfettered financial sector around the globe. [I]ts [macroeconomics] central problem of depression prevention has been solved, for all practical purposes, and has in fact been solved for many decades (Lucas Jr 2003). The enthusiastic declaration of depression prevention had to bite the dust with the onset of the “Great Recession” in 2007 in both the US and Europe. The weight of history was pointing unequivocally towards a new revolution that would dismantle the incumbent monetarist orthodoxy. However, it did not repeat itself; on the contrary it rhymed, as Mark Twain would have insisted, better with the pre-Keynesian era of the 1920s. Monetarist orthodoxy has returned although under a different guise called the New Consensus Macroeconomics and it would appear to have consolidated its position during this recession. The orthodoxy that dislodged the state from its monetary policy commitments by invoking market sentiments got irrevocably locked into the process of circular reasoning in a self-referential way. Monetary policy was conducted by independent central banks, which supported the expansion of the financial sector that was to be overseen by an objective and scientific risk-rating mechanism. Credit rating agencies provided such a service and gradually they became the underwriters of risk for the entire financial system, including central banks, for their financial market operations conducted within the ambit of monetary policy. The apparently objective and scientific process of underwriting risk provided a perfect barometer that gauged market sentiments. In this process, the logic of market sentiments became institutionalised via the risk-rating mechanism of the credit rating agencies. A pliable theory was restored from pre-Keynesian history to put in place a perfect self-referential setting by which an independent central bank was assumed to deliver consistent and credible monetary policies that supported the expansion of the financial sector, which was certified in turn as sound by a presumably objective process of risk-rating by the credit rating agencies. The result was massive financialisation driven by financial innovations justified by this self-referential logic, which circumvented the state during the so-called second wave of globalisation. As the rating agencies began playing a more central role, the process of financialisation in the 1990s was characterised by the expanding capacity of the credit rating agencies to underwrite complex debt instruments. The developing system of an extremely complex network of claims and counterclaims was justified in terms of the same self-referential logic and was believed to have efficiently allocated the available liquidity to optimally distribute risk across the financial sector. In hindsight, it is clear nobody understood this enormously complex and opaque system but it went largely uncontested because almost all the players were willing or unwilling victims of that self-referential system of rationalisation. During the expansion, it was understood that financial innovation, which improved the efficiency of the resource allocation function, combined with the objective of a scientific underwriting process would improve the resilience of the overall financial system by sharing and distributing risk. A “competitive” market for the underwriting process5 developed and the efficiency of that market was considered vital for the resilience of the financial system and the overall economy. As the process of financialisation deepened, the business and influence of rating agencies grew in proportion and began to shape market sentiments and their activities became integral to the functioning of the modern market economy. The catastrophic collapse of the financial markets in 2008 and the ensuing economic crisis in the western economies did not affect the influence of the rating agencies. On the contrary, the agencies that endorsed as optimal the rising level of systemic risk before the crisis have strengthened their position, which now seems politically unassailable despite the deepening of the crisis. In fact, using the current crisis the agencies have moved beyond rating the risk of private financial institutions to decisively underwrite the capacity of the nation state in conducting its economic affairs. Such a position of power of the rating agencies and their influence during a crisis, comparable in proportion to that of the Great Depression, should be seen in the broader context of the dominance of the monetarist paradigm that still governs policymaking in many central banks and in the International Monetary Fund (IMF). 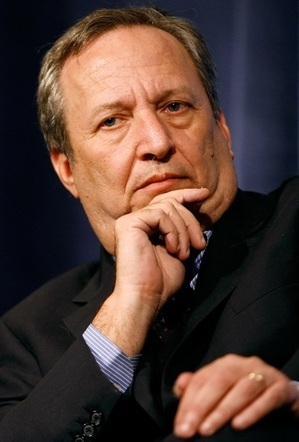 This dominant monetarist paradigm, which is endorsed by the respectability of the award of several Nobel prizes in economic sciences to their theorists, reinforces its unwavering commitment to the primacy of the role of market sentiments for the growth of the capitalist system and in turn provides the intellectual source from which the rating agencies draw their economic justification for the underwriting process. Moreover, in the current crisis the rating agencies began to perform the role of “enforcer of discipline”, i e, disciplining the state from its extravagances via the rating of sovereign debt using an “objective and scientific underwriting process”, reinforcing the dominance of the monetarist orthodoxy and, in fact, providing it a great opportunity to implement its vision of a minimalist state. The self-proclaimed disciplining role played by the rating agencies is not legally prosecutable for the reason that they merely give “opinions” on the riskiness of assets, including sovereign debt. For instance, in the US the rating agencies claim protection under the First Amendment as a matter of free speech and freedom of the press.6 This advantage without accountability, ironically protected by the US constitution, makes the self-referential system dangerously powerful as the rating agencies assume a pivotal role in the economy and polity in capitalist democracies. As a result, they shape market sentiments and through their opinions control almost every domain of economic policymaking, laying the foundation for “Credit Rating Capitalism”. Their power does not merely stop at inhibiting the state and its agencies from borrowing from the market, it goes beyond the bond markets into the realm where it is beginning to reshape the politics of representative democracy in the conduct of the fiscal affairs of the state. The economic rationale for delinking politics from fiscal affairs is to eliminate uncertainties concerning the conduct of economic policy in general and fiscal policy in particular. The discretionary nature of fiscal policy is questioned because it adversely affects investors’ expectations and market sentiments, and it is desirable to minimise uncertainties in the conduct of fiscal policy. This argument echoes the 1980s debate when monetary policy was delinked from the politics of the state on the ground that discretionary monetary policies induced inconsistencies in individual investors’ minds regarding their expectations about future policy change, which, in turn, adversely affected market sentiments. Similarly, it is now argued that discretionary fiscal policy should be replaced by “fiscal policy rules”, which enhance transparency and consistency to sustain the stability of the markets. The (Maastricht) Treaty foresees three different modes of policy-making in the various fields of EMU: (i) full transfer of competence to the Community level for monetary policy; (ii) rules-based coordination of fiscal policy; (iii) ‘soft’ coordination for other economic policies (ECB 2008: 22). Having reached the limit of manoeuvrability in terms of monetary policies, the ECB has broadened its remit by using its “technical” capacity to advise and influence both the formulation and conduct of fiscal and other structural policies in the member countries of the eurozone. Drawing from the intellectual wisdom of the New Consensus Macroeconomics, the ECB has been pushing the so-called expansionary fiscal austerity or fiscal consolidation view7 in the conduct of fiscal policy to boost market sentiments in favour of the troubled countries, viz, Ireland, Italy, Greece, Portugal and Spain. Moreover, the ECB has also been using the soft coordination approach using both “peer pressure and support” and, more importantly, the logic of market sentiments to influence the structural policies in reforming the labour markets in the troubled countries. The argument of a rule-based fiscal policy devoid of any political interference echoes both in ideology and in substance the argument in the late 1980s for rule-based monetary policy and for an independent central bank that could conduct monetary policies without any political interference. However, in contrast to the rule versus discretion debate of the 1980s over monetary policy, the monetarist counter-revolution is no longer replacing the incumbent Keynesian orthodoxy. Instead, in the current crisis the incumbent monetarist orthodoxy is getting further entrenched in the same economic rationale that pushed the western economies to the brink of collapse. The final act of this drama has just begun to unfold. The central banks themselves, once the bastion of the monetarist counter-revolution against Keynesianism, are now being coerced and dictated to by the rating agencies based on their power to shape market sentiments. Has Aladdin’s genie gone out of control? The emerging politics of the present crisis is driven by the coercive power of the rating agencies over the institutions of the state through the delinking of the politics of deliberative democracy from the conduct of economic policy in general and fiscal policy in particular. Ironically, the rationale and justification for delinking politics from economic policy is derived from overlooking diverse political representations that characterise western democracies in Europe. In Europe, three-quarters of the governments formed after the second world war were comprised of multiple political parties. With increased political diversity and wider representation in government, it is recognised that policymaking has become even more challenging than in single-party governments. The challenges of consensus building by democratic means in policymaking arise not only from the inevitable tension between the parties on compromising their ideals, but also reflect the reality that coalition partners must compete separately at election time. Hence, unlike authoritarian regimes or single-party democracies, compromise is at the heart of politics, particularly when it comes to diverse multi-party coalition governments (Martin and Vanberg 2012). Two major problems have emerged in recent academic debates: the “principal-agent problem” and the “common-pool problem”. Research on the principal-agent problem has documented how politicians can extract rents from being in office, but voters might wish to limit these rents by subjecting politicians to stricter rules (see von Hagen 2005 for a detailed analysis). However, the uncertainty and complexity of economic and political developments induced by multiparty coalition governments, it is argued, prohibit the writing of complete contracts. Therefore, the principal-agent relation resembles an “incomplete contract”, leaving politicians with some undesirable discretionary powers (Kassim and Menon 2002). Research on the so-called common pool problem has documented how problems arise when politicians can spend money from a general tax fund on targeted public policies (Hallerberg et al 2009). The fact that the group that pays for specific targeted policies (the general taxpayer) is larger than the group that benefits from them creates a divergence between the net benefits accruing to the targeted groups and the net benefits to society as a whole. This divergence, it is argued, induces the targeted groups and politicians representing them to demand excess spending which is sub-optimal for society as a whole. Thus, the common pool problem leads to excessive levels of public spending (Bawn and Rosenbluth 2006; Roubini and Sachs 1989). This excessive spending is the source of increased deficits and debt. Moreover, it is documented that ethnic divisions and/or ethno-linguistic and religious fractionalisation of society increase the asymmetry of the tax burden, making the common pool problem even more severe (Alesina et al 1997). Unsurprisingly, academic research under the influence of monetarist orthodoxy analyses the shortcomings of the diversity and wider political representation in government. Its recommendations articulate a case for reshaping institutions that govern decisions over public finances.10 Three types of fiscal institutions are prescribed: (1) Ex ante rules, such as constitutional limits on deficits, spending or taxes, (2) electoral rules fostering political accountability and competition, and (3) procedural rules for the budget process. Research on these types of fiscal institutions has produced voluminous literature, which in turn has provided an intellectual basis for the argument of conducting rule-based fiscal policy for minimising the distortionary effects of discretionary policymaking by coalition governments in the west and developing countries alike (Haan et al 1999; von Hagen 2005; Fabrizio and Mody 2006). While academic research under the influence of the monetarist orthodoxy has further intensified the orthodoxy’s intellectual dominance, the credit-rating agencies, drawing their rationale from the dominant intellectual paradigm, have become the “enforcers of discipline” against discretionary excesses by the multiparty democratic state. During the current crisis, the credit rating agencies have further consolidated their role as enforcers of discipline by severely restricting the state from implementing its duty of democratic accountability. The capacity of the state is undermined by the credit-rating agencies, through both overt and covert actions. The credit-rating agencies directly inhibit the state and its agencies from borrowing from the market by downgrading the state using the credit-rating mechanism. Covertly, the rating agencies have moved beyond the bond market and have entered the political realm by rating “democracies” and forcing the state to delink the politics of deliberative democracy from the conduct of its economic affairs. Such a covert coercion is visible in the eurozone, where the peripheral member states’ credit ratings also depend on the reform of their fiscal and budgetary institutions. It is quite extraordinary that the logic of market sentiments that drove the western economies to the brink of disaster has become the economic rationale for the basis of economic recovery and for reforming the state. Furthermore, insulating policymaking of the state and its institutions from the so-called political pressures seems to be the emerging politics of this crisis and is being aggressively enforced through the veil of market sentiments by the apparently objective risk-rating mechanism of the credit rating agencies. Thus, it could result in delinking and disengaging the politics of deliberative democracy from the conduct of economic policies of the state and is tantamount to undermining the very foundations of democracy in that it seems that the state is more accountable to the invisible sentiments of the market and not to its own people. 1 Although Hick’s (1937) paper is hailed for its pedagogic impact for it helped in bringing Keynes’ General Theory to the classroom, it should be borne in mind that the paper in a subtle way restated Keynes’ theory, particularly in deriving the “Investment Savings” curve, using the theoretical foundations of the neoclassical economics. 2 For example, if one looks at the theory from the point of view of explaining unemployment in the real economy, starting from the pre-Keynesian era of explaining unemployment in terms of a voluntary decision of labourers to the Keynesian phase where unemployment was seen as involuntary due to the inability of markets for products to clear due to insufficiency of demand. In the monetarist counter-revolution phase, the pre-Keynesian notion of choice was resurrected in a different guise. It was indeed old wine in a new bottle, and perhaps not as good as vintage wine! 3 The effective marginal tax rate (economy-wide weighted by sector) on capital income during 1953-59 was 47.3%. 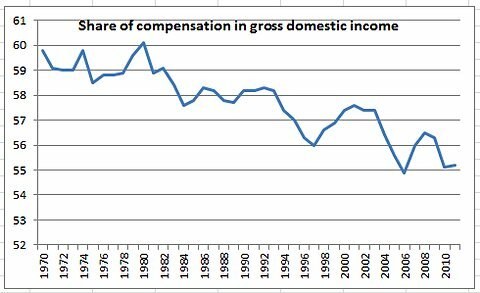 It was gradually reduced to 35.3% in the 1980s and further reduced to 28.3% during 2000-03, amounting to an almost 40% reduction during the period 1953-2003 (cf Gravelle 2004). 4 “The use of a growing array of derivatives and the related application of more sophisticated approaches to measuring and managing risk are key factors underpinning the greater resilience of our largest financial institutions … Derivatives have permitted the unbundling of financial risks” – Alan Greenspan (May 2003). 5 Three major players are Moody’s, Standard & Poor’s (S&P) and Fitch; however, Moody’s and S&P dominate the rating market. An interesting question arises as to who owns these rating agencies. Moody’s was sold as a separate corporation by Dun and Bradstreet in 1998 and is now quoted on NYSE; S&P is owned by publishers McGraw-Hill. There has been a massive growth in the number of rating firms in OECD countries (including Japan after 1985 and Germany during the late 1990s) and in the developing countries. See T J Sinclair (2010) for further analysis on the competitive nature of the rating market. 6 See Nagy (2009) for a detailed legal analysis of how the credit-rating agencies in the United States successfully defended lawsuits using the First Amendment shield in the case of Residential Mortgage-Backed Securities. 7 “Fiscal discipline is required for the smooth functioning of Monetary Union, as unsound ﬁscal policies may create expectations or lead to political pressures upon the central bank to accommodate higher inﬂation in order to alleviate the debt of the government sector or to keep interest rates low” (ECB 2008: 25) (Italics added). 8 While writing this article it has emerged that there was a letter from Jean Claude Trichet, the former chairman of ECB to the late Brian Lenihan, the former minister of finance of Ireland, dated 12 November 2010. The letter itself was not released to the public but it is believed to have threatened the withdrawal of Exceptional Liquidity Assistance (ELA) to Ireland if the then government refused to accept the bailout that included a ban on burning the bondholders (Cf: Irish Times, 1 September 2012. weblink: http://www.irishtimes.com/newspaper/ ireland/2012/0901/1224323462435.html). 10 See Besley (2004) for an overview of the “New Political Economy” literature that analyses the issue of how the institutional structures affect policy outcomes. Alesina, Alberto, Reza Baqir and William Easterley (1997): “Public Goods and Ethnic Divisions”, NBER Working Paper No 6009. Bawn, Kathleen and Frances Rosenbluth (2006): “Short versus Long Coalitions: Electoral Accountability and the Size of the Public Sector”, American Journal of Political Science, 50(2): 251-65. Besley, T (2004): “The New Political Economy”, keynes lecture delivered at the British Academy, 13 October. Bhaduri, A and S Marglin (1990): “Unemployment and the Real Wage: The Economic Basis for Contesting Political Ideologies”, Cambridge Journal of Economics, 14(3): 375-93. Epstein, G and J Schor (1990): “Macroeconomic Policy in the Rise and Fall of the Golden Age” in S Marglin and J Schor (ed. ), The Golden Age of Capitalism (Oxford: Oxford University Press), pp 126-52. European Central Bank (2008): “Monthly Bulletin: 10th Anniversary of the ECB”, Frankfurt, Germany. Fabrizio, S and A Mody (2006): “Can Budget Institutions Counteract Political Indiscipline?”, IMF Working Paper, WP/06/123, International Monetary Fund. Gravelle, J G (2004): “Historical Effective Marginal Tax Rates on Capital Income”, Congressional Research Service Report for Congress, order code: RS21706, The Library of Congress. Greenspan, A (2003): “Corporate Governance”, Remarks by chairman Alan Greenspan at the 2003 Annual Conference on Bank Structure and Competition, Chicago, Illinois (8 May 2005). Haan, J, W Moessen and B Volkerink (1999): “Budgetary Procedures – Aspects and Changes: New Evidence for Some European Countries” in James M Poterba et al (ed. ), Fiscal Institutions and Fiscal Performance (Chicago: University of Chicago Press). Hallerberg, Mark, Rolf Strauch and Jürgen von Hagen (2009): Fiscal Governance: Evidence from Europe, Cambridge University Press. Hicks, J (1937): “Mr Keynes and the ‘Classics’: A Suggested Interpretation”, Econometrica, 5, (April): 147-59. Kassim, H and A Menon (2002): “The Principal-Agent Approach and the Study of the European Union: A Provisional Assessment”, The European Research Institute Working Paper, University of Birmingham, UK. Lucas, R (2003): “Macroeconomic Priorities”, American Economic Review, 93(1): 1-14. Nagy, T (2009): “Credit Rating Agencies and the First Amendment: Applying Constitutional Journalistic Protections to Subprime Mortgage Litigation”, Minnesota Monthly Review, 142(2): 94-140. Roubini, Nouriel and Jeffrey Sachs (1989): “Political and Economic Determinants of Budget Deficits in the Industrial Democracies”, European Economic Review, 33(5): 903-38. Sinclair, Timothy J (2010): “Round Up the Usual Suspects: Blame and the Subprime Crisis”, New Political Economy, 15(1): 91-107.
von, Hagen Jürgen (2005): “Political Economy of Fiscal Institutions”, Discussion Paper No 149, Governance and the Efficiency of Economic Systems Institute (GESY), University of Mannheim, Germany. Note 9.2.2013: Underwriting here is meant to indicate the indirect role the credit ratings of the agencies perform in terms of assessing the credibility of the financial entitites and the State seeking to raise money in the debt market. Roboter statt Arbeitnehmer (3): Eine von zwei möglichen Erklärungen der fallenden Arbeitseinkommensquote? Im seinem zweiten aktuellen Beitrag zum Roboter-Thema vom 9.12.2012 – Robots and Robber Barons – anerkennt Paul Krugman zunächst nochmals ausdrücklich die fallende Arbeitseinkommensquote in den USA. Er verwirft das Argument, dass stagnierende Löhne im wesentlichen auf ein Verteilungsproblem zwischen den Arbeitnehmern zurückzuführen wären. Roboter oder mit monopolistischer Macht ausgestattete kapitalistische Raubritter – ist das die Alternative? Sicherlich kann der globale Kapitalismus beträchtlichen technologischen Fortschritt für sich in Anspruch nehmen. Es ist ihm jedoch auch anzulasten, dass eine überwältigende Zahl an Menschen nicht oder nur im geringen Ausmaß an seinen Früchten beteiligt werden. Und wohlgemerkt: ich spreche hier nicht von Wachstum als Ideologie, und damit auch von Resourcenvernichtung und Umweltzerstörung, sondern von einem Fortschritt im Dienste der Menschen, wie es das Roboter-Bild ja auch ein wenig signalisiert. Auch in moderner Lesart kann gesagt werden, dass das erste Gesetz des Kapitalismus das Gewinnstreben ist. Hierfür sind alle legalen, und zu oft auch unmoralische und illegale Mittel recht. Zwanghaft muss aus Geld mehr Geld werden, egal ob durch realwirtschaftliche Tätigkeit oder Finanzspekulation, durch Lobbying für profitable Gesetze, durch ‚Provisionen‘ bei der Vergabe öffentlicher Aufträge und dem Verkauf staatlichen Eigentums, durch Steuervermeidung und Steuerhinterziehung, durch technischen Fortschritt und Raubrittertum, durch Outsourcing und stagnierende Gehälter. Doch es bedarf der Raubritter nicht, um jedes Jahr aufs Neue den Produktivitätszuwachs den Arbeitnehmern vorzuenthalten und die Arbeitseinkommensquote weiter zu senken. Alle Arten von Kapitalvertretern finden dies selbstverständlich, und häufig spielen auch Arbeitnehmervertreter und Arbeitnehmer mit, um im globalen ‚race to the bottom‘ den Standort zu stärken und vermeintlich Arbeitsplätze zu sichern. Und höhlen damit die Konsumnachfrage weiter aus, und prolongieren die Krise. Nun, in dieser kleinen Serie beschäftigen wir uns mit Überlegungen zur Hypothese, dass menschliche Arbeit zunehmend durch Roboter ersetzt werden kann, oder – in Krugman’s Worten – mit ‚capital-biased technological change‘. Andere Aspekte des automatischen Subjekts sollen hier also nicht weiter vertieft werden. Überraschenderweise wurde das alte Thema der möglichen Vernichtung von Arbeitsplätzen durch technologischen Fortschritt gerade durch Paul Krugman im Dezember aus der Mottenkiste geholt und ins Bewusstsein von Berufs- und Amateur-Ökonomen gehoben. „I think our eyes have been averted from the capital/labor dimension of inequality, for several reasons. It didn’t seem crucial back in the 1990s, and not enough people (me included!) have looked up to notice that things have changed. It has echoes of old-fashioned Marxism — which shouldn’t be a reason to ignore facts, but too often is. And it has really uncomfortable implications. Wir werden die Diskussion dieses interessanten Themas in einigen Folgebeiträgen vertiefen. Dies ist der zweite Teil einiger kleiner Meditationen über wirtschaftliche Key Performance Indicators (KPIs) – Kennzahlen, an denen sich Politik orientiert oder orientieren sollte. Teil 1 zur Arbeitseinkommensquote – eine Kennzahl, die mehr Beachtung verdient, findet sich hier. Der fiskalische Multiplikator gibt – vereinfacht gesprochen – an, wie sich eine veränderte Fiskalpolitik auf die Wirtschaftsleistung (GDP: Gross Domestic Product) auswirkt. Eingeführt von Richard F. Kahn und diskutiert von J0hn Maynard Keynes im 10. Kapitel seines einflussreichen Werkes ‚The General Theory of Employment, Interest and Money‘, ist der fiskalische Multiplikator seit dem Beginn der Finanz- und Wirtschaftskrise wieder ins Zentrum der Aufmerksamkeit gerückt. Für die Eurozone wird mit Hilfe des fiskalischen Multiplikators von internationalen und nationalen Institutionen vorausgesagt, wie sich Budgetkonsolidierungen auf das GDP auswirken. Konsolidiert Spanien sein Budget durch Steuererhöhungen oder Reduktion von Staatsausgaben um 2% des GDP und beträgt der fiskalische Multiplikator 0.5, dann bewirkt dies eine Reduktion des GDP um 1%. Beträgt der fiskalische Multiplikator hingegen 1.5, dann reduziert sich das GDP um 3%. Auch negative Multiplikatoren sind denkbar: die Wirtschaftsleistung würde demnach dann steigen, wenn der Staat spart. 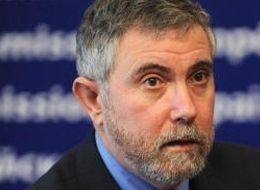 Dieser Glaube wird vom Keynesianer Paul Krugman gerne als ‚Confidence Fairy‘ – die gute Fee der Zuversicht – bezeichnet. Aus dem fiskalischen Multiplikator werden weitere wichtige Indikatoren abgeleitet: Prognosen zum Verhältnis von Staatsschuld zu Wirtschaftsleistung (Debt-to-GDP Ratio) sowie zur Zunahme oder Abnahme der Arbeitslosigkeit. Verschätzt man sich und ist der Multiplikator bei Konsolidierungen höher als gedacht, ergeben sich unangenehme Konsequenzen: das GDP sinkt stärker als geplant, die Debt-to-GDP Ratio könnte sich verschlechtern statt verbessern, und zahlreiche Menschen werden zusätzlich der Arbeitslosigkeit preisgegeben. Die für die Eurozone wichtigsten Prophezeihungen stammen von den Sehern und Seherinnen des Internationalen Währungsfonds (IMF – International Monetary Fund) und der EU-Kommission. Sie bedienen sich für ihre Orakel einer Glaskugel namens Makroökonomie. Allerdings behaupten sie, dass es sich nicht um eine Glaskugel, sondern um Wissenschaft handelt. Es hat jedoch den Anschein, als seien ihre Gedanken bisher nur die Schatten ihrer Empfindungen gewesen. Nun, Physiker pflegen einigermaßen einig darüber zu sein, dass ein mit 70 km/h vorwärts fahrendes Auto in einer Stunde etwa 70 km in Fahrtrichtung zurückgelegt haben wird. Anders jedoch Ökonomen, wenn sie ihre seltsamen Fachdiskussionen über den fiskalischen Multiplikator führen: sie wären in unserem Beispiel nicht einmal darüber einig, in welche Richtung die Reise geht. Konservative Ökonomen meinten etwa zu Obamas expansivem Fiskalpaket Anfang 2009, dass kein positiver Einfluss auf GDP und Arbeitslosigkeit zu erwarten sei. Zusätzliche Staatsausgaben würden in der Hauptsache private Ausgaben verdrängen, und Haushalte würden in der Erwartung von Steuererhöhungen unverzüglich zu sparen beginnen, da sich ja der Staat das zusätzlich ausgegebene Geld umgehend zurückholen müsse. „Are We Underestimating Short-Term Fiscal Multipliers? Ist der Multiplikator größer als 1, dann handelt es sich bei restriktiver Budgetpolitik um einen Schuss, der nach hinten losgeht. Nun, was sagt die Empirie – wie war es denn tatsächlich, z.B. 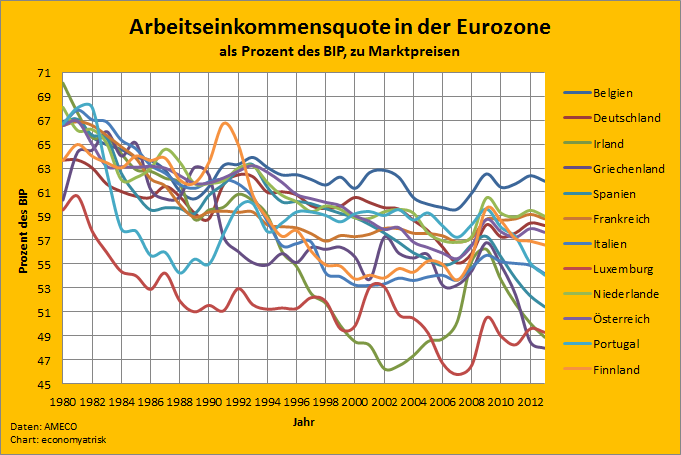 zwischen 2009 und 2011 in jenen Eurozone-Staaten, bei denen es zu einer nennenswerten fiskalischen Konsolidierung (mehr als 0.5% des GDP) kam? Da der IMF in seinem dicken Werk mit dünner, aber immerhin existenter Selbstkritik das Ausmaß der fiskalischen Konsolidierung nicht wirklich klar darstellt, verwenden wir als bestverfügbare Annäherung die Berechnungen von Jean-Michel Six und Sophie Tahiri von Standards & Poors. Für Eurozone-Staaten mit fiskalischem Konsolidierungsbedarf > 0.5 % lag also der durchschnittliche fiskalische Multiplikator bei etwa 1.6. Wir werfen noch einen kurzen Blick auf die bisherigen Wachstumsprognosen der Troika, mit anerkennender Erwähnung von Jesse Frederik von ‚Follow the Money‘. Die folgende von ihm erstellte Grafik zeigt übersichtlich die Troika-Prognosen zum griechischen Wirtschaftswachstum und vergleicht sie mit der tatsächlichen Entwicklung – ein Leckerbissen für alle Freunde der Visualisierung. Es fällt auf, dass bei aufeinanderfolgenden Voraussagen die Geschwindigkeit der wirtschaftlichen Erholung zunimmt. Je weniger sich also der alte Glaube erfüllte, desto stärker wurde an ihm festgehalten – dies nur als bescheidener Hinweis für Religions-Soziologen. Der desaströse Zustand der Mainstream-Makroökonomie führte zu einer gewaltigen Unterschätzung der fiskalischen Multiplikatoren für Eurozone-Staaten mit fiskalischem Konsolidierungsbedarf. Daraus ergab sich eine wesentlich höhere reale Wirtschaftsschrumpfung (Priester der Ökonomen-Kaste ziehen den Begriff ’negatives Wachstum‘ vor) und Arbeitslosigkeit als angenommen. Auch die Debt-to-GDP Ratio konnte nicht wie vorgesehen verbessert werden. Es entsteht ein erhöhter Finanzierungsbedarf für Eurozone-Problemstaaten. Eine zuverlässige fiskalische Stabilisierungspolitik ist in weite Ferne gerückt, wie am ‚Frontrunner‘ Griechenland erkennbar. Die gegenwärtige Fiskalpolitik der Eurozone ist als erfolglos zu qualifizieren und dabei, jegliches Vertrauen zu verspielen. Eine offene Diskussion alternativer Lösungsansätze ist dringend geboten. Eine separate Aufgabenstellung wäre eine erkenntnistheoretisch orientierte Kritik der bisherigen ökonomischen Wissenschaft und ihrer Methoden, am Beispiel des fiskalischen Multiplikators. Ein guter Philosoph hätte seinen Spaß daran.